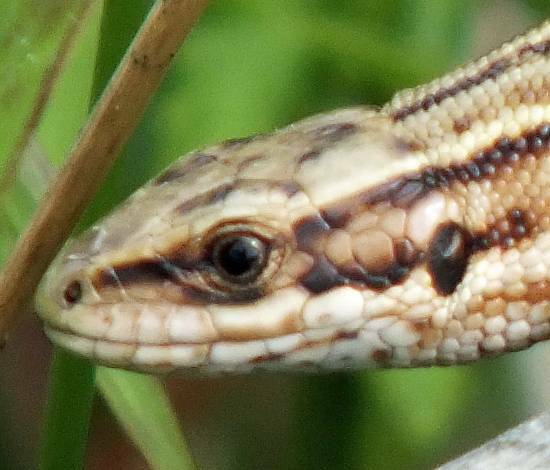 Common lizards prefer warm sheltered habitats with nearby dry places where they can bask in the sunshine. Unlike newts, for which they are sometimes mistaken, lizards have dry skin. They are most easily found in springtime, when they are emerging sleepily from hibernation. 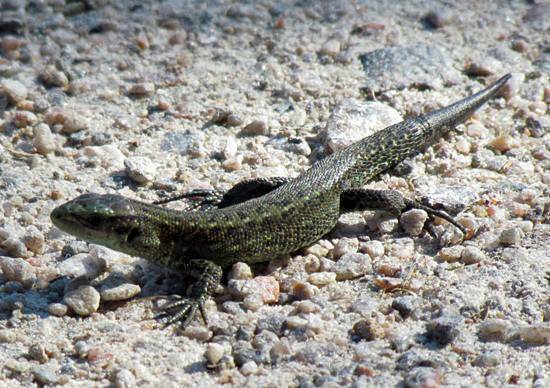 By mid summer, lizards are very much quicker at scampering away when they are approached. A fully-grown adult can be up to 14 cm long. 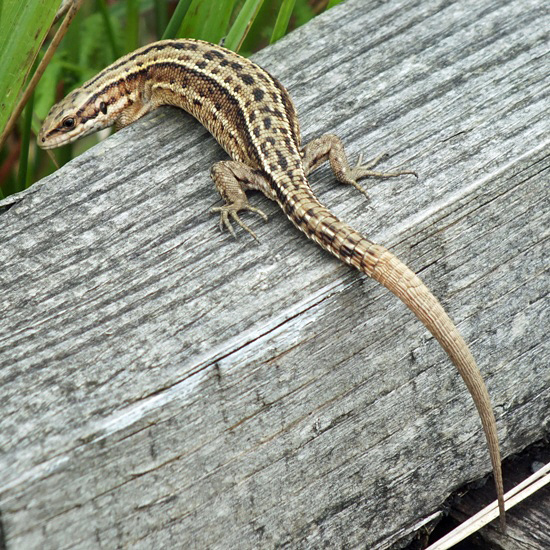 In Britain Common Lizards are often seen in and around dry stone walls or along railway tracks, where they bask on the stone ballast beside and between the tracks. The common lizard is also known as the viviparous lizard, because it gives birth to live offspring. The diet of these fascinating reptiles comprises mainly insects and other small invertebrates. These harmless reptiles are sometimes eaten by snakes and by larger birds; however, domestic pets, especially cats, are also capable of catching and killing lizards..